Background Paper: How Can EU Reform Strengthen EU Climate and Energy Policies? Triggered by Brexit, the EU began a process of reflection, soul-searching and possibly reform – the so-called “Bratislava process” or the “process on the Future of Europe”. EU institutions, Member States and civil society have made a number of contributions to this process. 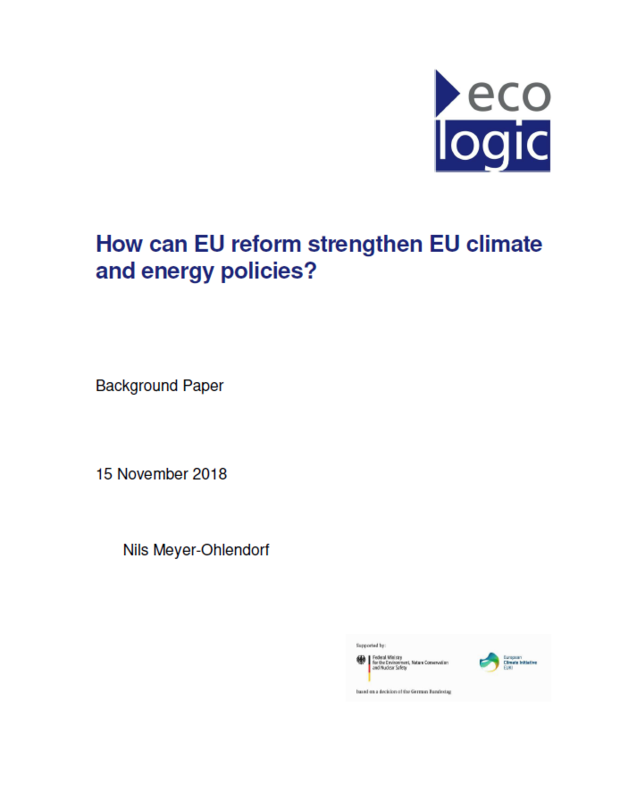 This paper of the Ecologic Institute discusses how the EU reform process can help improve EU climate and energy policies.